BMW has issued a huge recall, with almost 280,000 cars being called back to dealers due to a fire risk. 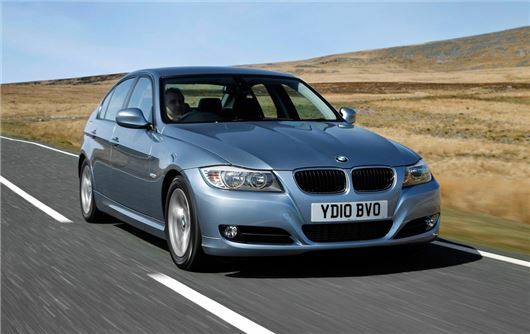 The safety notice covers both saloon and touring 3 Series models, built between 2004 and 2011. Elsewhere, Mercedes-Benz issued a recall for unintentional airbag deployment among 10,000 C-Class, built between June 2011 and June 2017. Porsche also recalled around 200 Panamera for anti-roll bar link replacement which - if not fixed - could increase body roll when corning and reduce the sharpness of the steering. BMW 1 Series, X1, Z4, 3 Series The positive battery cable to the front distribution box behind can become damaged by vibrations and frictional corrosion. This may cause a loss of electrical connection to the distributions box. BMW 3 Series Saloon, 3 Series Touring, 3 Series Coupe, 3 Series Convertible Blower regulator wiring could be damaged, causing overheating and possibly fire. R/2018/154 Mercedes-Benz C-Class The steering column clock spring may break. This will cause warning messages to illuminate in the instrument cluster. In extreme instances it may cause the driver's airbag to deploy. Panamera G2 The connecting links on the rear axle anti roll bar cannot be ensured over the life of the vehicle. This may lead to greater understeer and increased roll behaviour. Reading the report here on car reliability, BMW came out worse ! Changed to a Ford Edge 210 -just love it ! You pay your over-inflated money and get stuffed by he Germans. Pay back time from Deutschland . Why do guys buy this overpriced German rubbish?